16 May 2017 Washington, D.C. The Obama Administration flooded the Deferred Action for Childhood Arrivals (DACA) program with more than 120,000 illegal immigrants in its final three months. Former President Obama created DACA to give a special, protected status to illegal immigrants who arrived in the U.S. as children. Data from the United States Citizenship and Immigration Services (USCIS) indicate the Obama Administration was potentially bracing for then-candidate Donald Trump to become president in October 2016. Between October and December 2016, the first quarter of Fiscal Year 2017, the Obama Administration received 114,327 DACA applications from illegal immigrants trying to either obtain the protected status or renew existing ones. From there, Obama approved and added 122,221 DACA recipients, often called ‘DREAMers,’ to the DACA rolls. 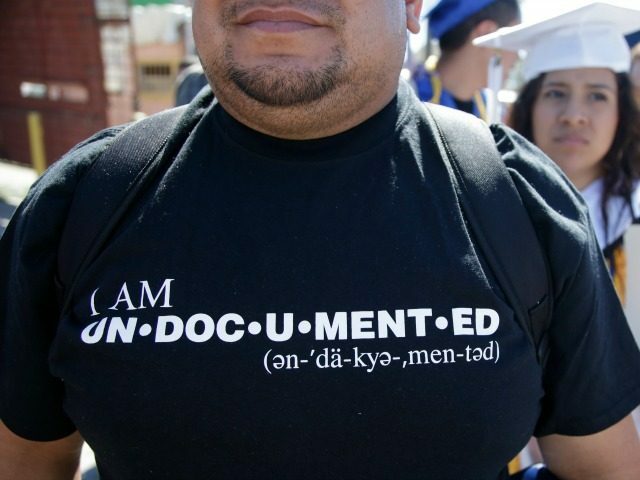 According to Center for Immigration Studies Fellow John Miano, the fact that the number of DACA applications approved was greater than the number filed during the first quarter indicates that the administration pushed through backlogged requests, of which there are more than 105,000. Miano told Breitbart Texas that the approval rate for DACA in the Obama Administration’s last full three months in office was nearly 98 percent. Even for Obama standards, the number of illegal immigrant DREAMers put on the DACA rolls before President Trump took office are relatively high. In Fiscal Year of 2016, more than 199,000 illegal immigrants were given DACA protected status. In Fiscal Year 2016, the number of new DACA recipients approved did not come close to exceeding the number of DACA applications. More than 260,000 illegal immigrants applied for DACA protected status. Under the Obama Administration, the once robust audits of federal programs where criminals could slip through the cracks were done away with, in favor of “light background checks,” according to Vaughn. “When you are trying to rush through and rubber-stamp approval on top of a program that is already concerning because of the history of leniency, that makes it even more likely that people who are going to be big problems have received this status,” Vaughn continued. Vaughn said the Trump Administration’s inaction to defund and end the DACA program is just as concerning for illegal immigration opponents and voters who were promised the system would be dismantled. “Trump admin should live up to the campaign statements and end the program because it was unconstitutional and ask Congress to work with him and figure out best way to deal with it going forward,” Vaughn said. Most recently, illegal immigrant DREAMers protected by DACA were arrested in a nationwide foreign criminal gang crackdown by the Department of Homeland Security, as Breitbart Texas reported. Since DACA’s inception, more than 1,500 illegal immigrants have had their protected status revoked after they were found to be involved with a gang or committed a crime.